We advise you to review this list of 19 actions before making a trip, it is always last to verify or have them present. Make sure that cities, dates and names of travellers are correct. If they are not, contact us as soon as possible. If you’re unsure about what vaccinations are required/ or recommended for your travel destination, please visit your country medical organization for more information. You should schedule an appointment with your doctor 6-8 weeks before travelling for any necessary vaccinations. The government issued identification you present must be valid for the duration of your travels or longer for some destinations. Remember that the name on your ID must match your name as it appears on your ticket. 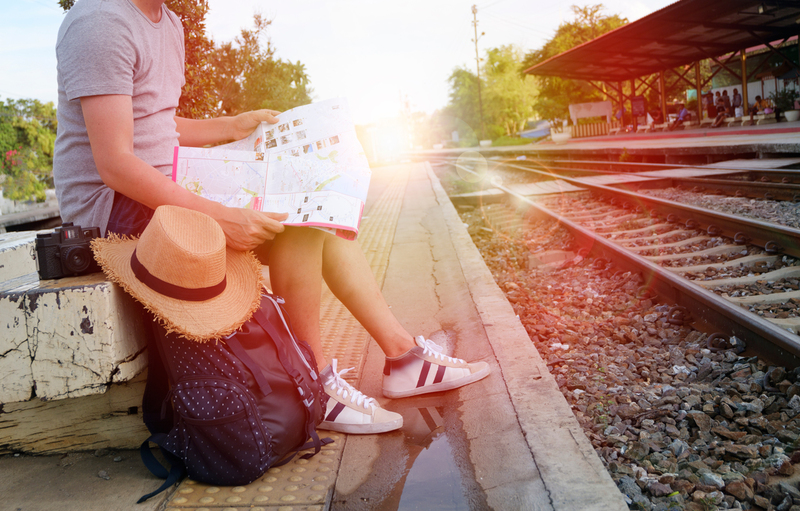 It’s important to know that if you choose not to purchase Insurance, and any unforeseen events prevent you from travelling, you will not be covered for the financial value of your travel investment. If you haven’t purchased yet, don’t worry. You can purchase Travel Insurance up until the day your flight departs. 5.- BOOK YOUR CAR RENTAL. Discover your destination or get to your Business Trip on time, know where to pick-up and drop-off locations to choose from. Complete your travel booking with a reservation of the properties to choose from. All Aircraft seating is controlled and must be booked directly with your Airline. 8.- PACK YOUR BAGS. CHECKED AND CARRY-ON. AND, CHECK THE BAGGAGE REQUIREMENTS. Familiarize yourself with your Airlines baggage rules and requirements as they differ for each Airline. Be sure to contact your Airline for the most up-to-date information before you travel. Always pack your valuable items such as money, travel documents, car keys and medication in your carry-on baggage so that in the unlikely event that your checked baggage is misrouted, you won’t be without them. 9.- ADD ANY FREQUENT FLYER NUMBERS. Ensure that you accumulate any points you may be entitles to through your frequent flyer program. Be sure to contact your Airline directly prior to your departure. 10.- ADVISE THE AIRLINE OF ANY SPECIAL NEEDS. Travelling with a guide dog? Need wheelchair access? For any special needs, please let your Airline know 48 hours or more before your flight. 11.- ORGANIZE TRAVEL FOR YOUR UNACCOMPANIED MINOR(S). If you’re booking a flight for an unaccompanied minor it’s important that you contact your Airline regarding the requirements as there are certain restrictions that apply. 12.- FAMILIARIZE YOURSELF ON TRAVELLING WITH AN INFANT OR CHILD. Restrictions on travelling with an infant or child vary from Airline to Airline and depending on your destination there may be different travel requirements. Be sure to contact your Airline directly prior to departure for more information. 13.- ORGANIZE TRAVEL FOR YOUR PETS. If you’re booking a flight for a pet it’s important that you contact your Airline regarding the requirements as there are certain restrictions that apply which different from Airline to Airline. 14.- REQUEST A SPECIAL MEAL ON-BOARD YOUR FLIGHT. You’ll need to contact your Airline directly to find out about special meal availability on-board your flight type. If you have food allergies or dietary preferences it’s important to let the Airline know in advance. Alert your credit card company that you’ll be travelling abroad. Avoid getting your charges denied, as the bank will expect your out-of-country purchases. 16.- PRINT YOUR ELECTRONIC TICKET AND ITINERARY. If you have not received your electronic ticket you can always reprint a copy. 17.- CHECK YOUR FLIGHT STATUS. Make sure that your flight isn’t delayed or cancelled by calling or checking online with your Airline directly. 18.- CONFIRM YOUR CHECK-IN TIMES. Ensure that you arrive at the Airport on time. Familiarize yourself with the deadlines for domestic, trans-border and international travel and keep in mind long wait times at customs. With most airlines online check-in is available 24 hours prior to your flight departure. Visit the airline webpage for more information or alternatively you can visit the Airports webpage for the city that you’re travelling from.